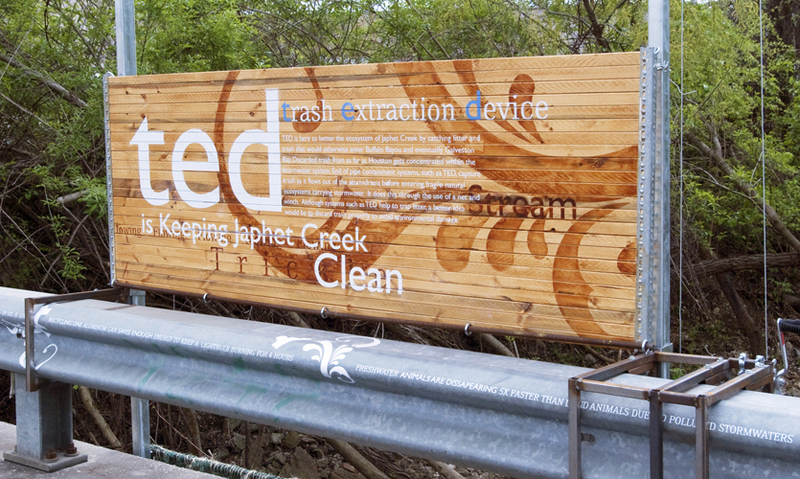 Over the past several years, local environmentalists have worked hard to save Japhet Creek, part of the Buffalo Bayou waterway system that is Houston, Texas’ most significant natural resource. Japhet Creek had become a dumping ground, littered with tires, trash, plastic bottles, and rubble. 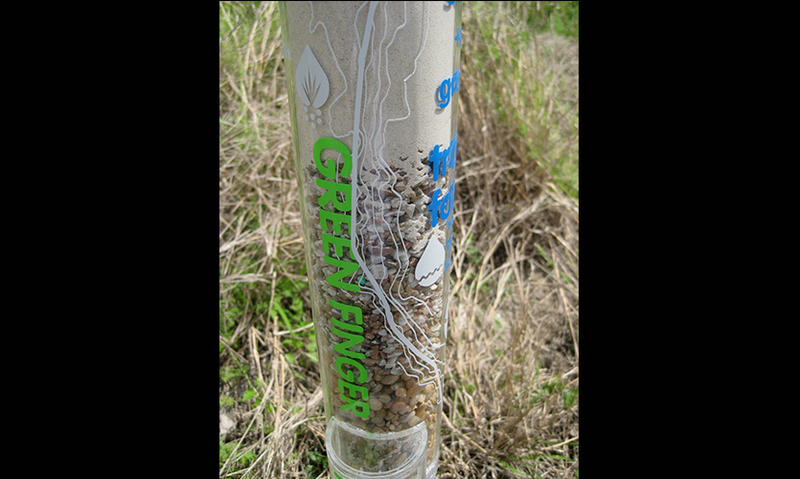 Local efforts resulted in the development of a series of parks along creeks feeding into the bayou, and Japhet Creek became the first Houston Green Fingers project, an initiative to create corridors of connectivity to not only improve water quality, but to strengthen the relationship between the community and the environment. 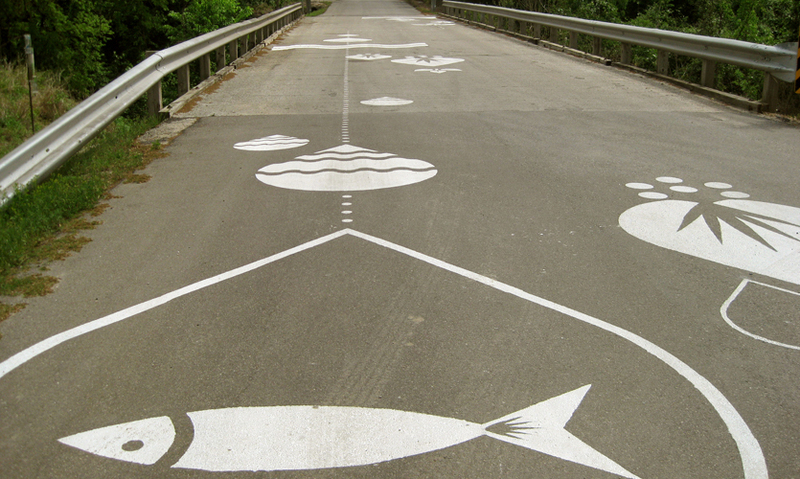 The Dis(solve): Natural Signs project was developed to create a series of park amenities for Japhet Creek that inform, provoke, and educate the park visitor. 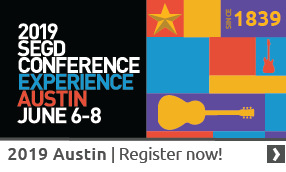 The project was an interdisciplinary collaboration among 35 senior-level students at the University of Houston’s School of Art, Graphic Communications Program and the Gerald D. Hines College of Architecture. Each of four student teams was awarded a budget of $1,800 provided by a grant. 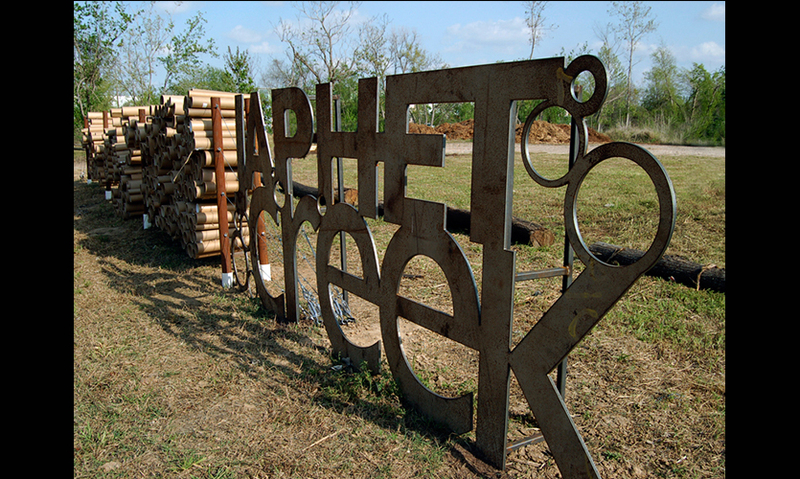 The students proposed, fabricated, and installed nine pieces designed to inform the public about Japhet Creek/Green Fingers, but also to serve as environmental metaphor about ideas and issues that shape our thoughts about nature, water, industry, and protecting natural resources. 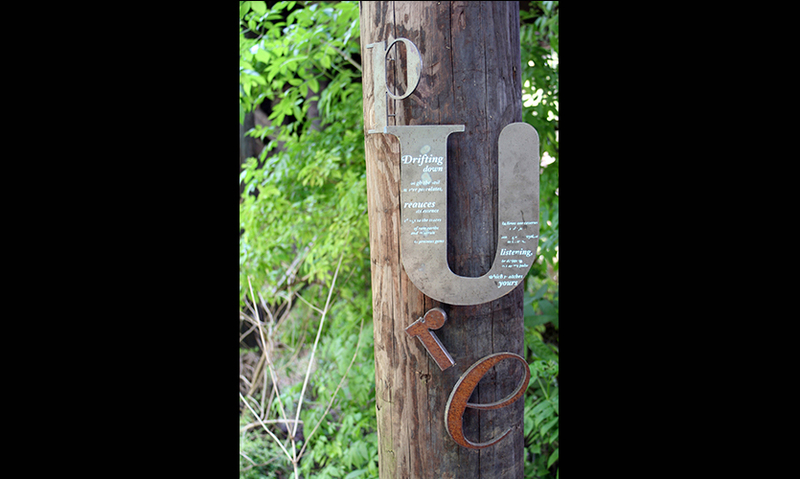 Several of the pieces will biodegrade, providing a commentary on the things we make as humans and their ability to return back to nature. 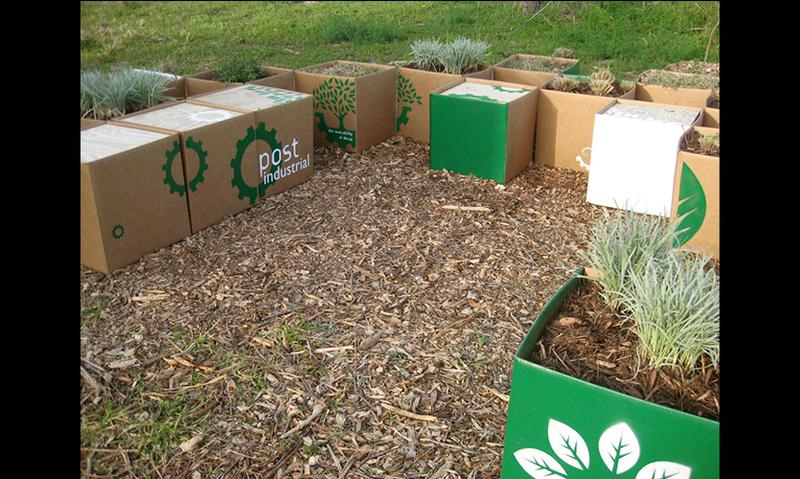 Several use re-purposed materials and will remain on site until disassembled. 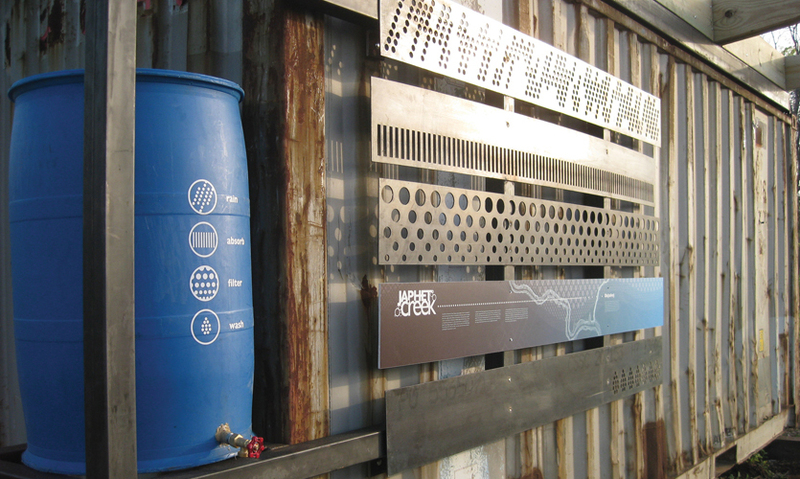 These pieces most closely serve the needs of the client: a toolshed was created out of a re-purposed shipping container, and recycled scrap steel was transformed into a gateway sign and main identifier for the park. 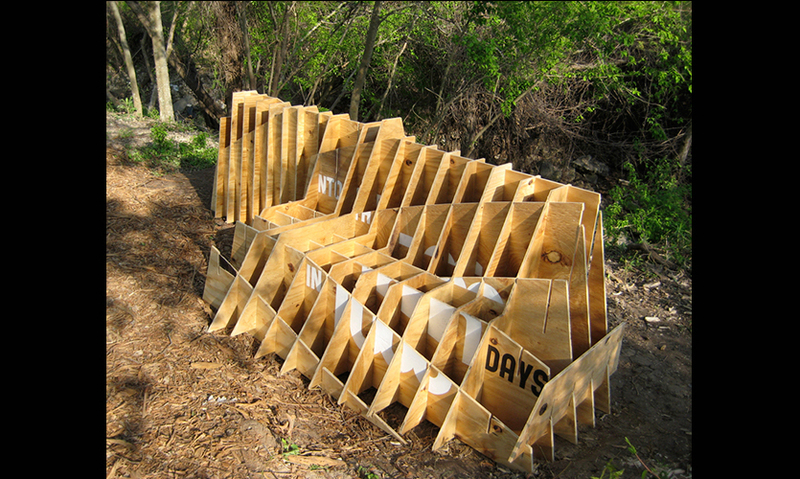 The intention of the installations was to leave zero environmental impact; therefore, all pieces are biodegradable or easily removable from the site. To tie the nine structures into a cohesive whole, a set of icons was developed and used on all of the pieces. In addition to the design challenges, the students also developed proposals, procured city approval, solicited donations for materials, fabricated, and installed the structures in only nine weeks.